CEDAR RAPIDS, Iowa (October 13, 2017)—Kirkwood’s Workplace Learning Connection (WLC) has partnered with area high schools to facilitate tours of manufacturers, Oct. 16 – 20, during the 5th annual Advancing the Future event. The public event, coordinated by area manufacturers, is designed to showcase manufacturing advancement and educate participants about the industry’s high-demand occupations. WLC provides career exploration through events, job shadows and internships for middle and high school students. Nearly 1,200 students from Benton, Cedar, Iowa, Jones, Johnson, Linn and Washington counties schools are expected to tour among the 24 participating manufacturers. Since 2011, Kirkwood has been working with manufacturing employers, economic development agencies and community-based organizations through sector partnership. The manufacturing tour was a product of this collaboration. Advancing the Future is a free event. 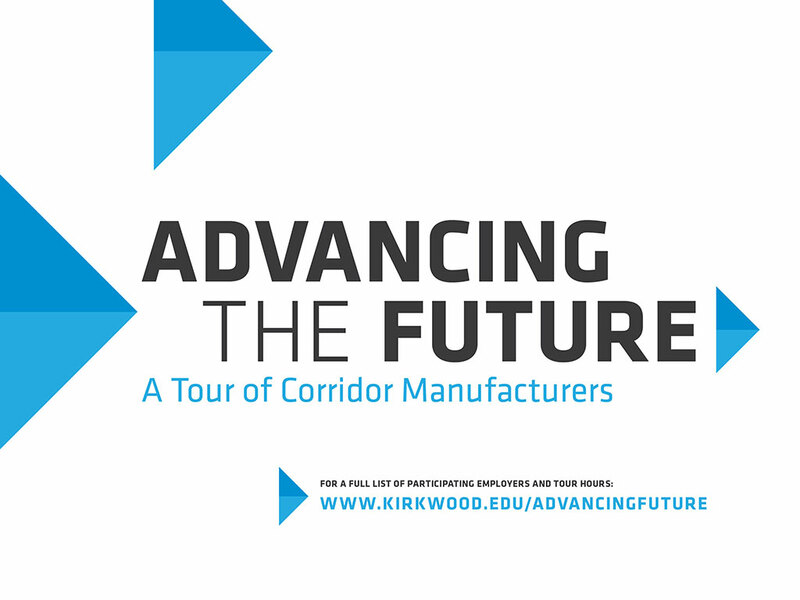 For a list of participating manufacturers, tour map, dates and times, visit www.kirkwood.edu/advancingthefuture.